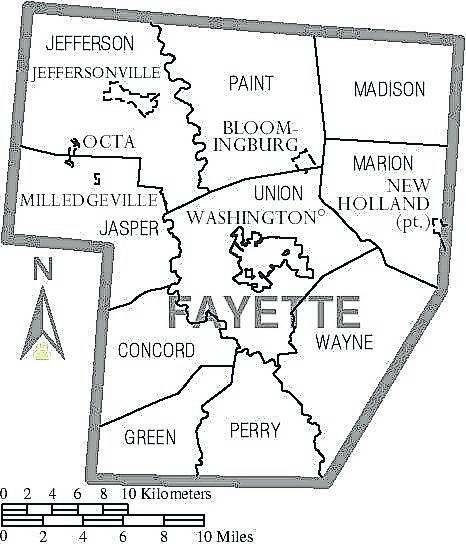 Several items of business have been completed at Fayette County Commissioners’ meetings recently. A contract was entered into with Nick Garland, who will be in charge of mowing the property located at 238 Old Chillicothe Road, Unit B to the end of the 2019 season for $26 per mowing. Another contract was entered into with Granger Construction for services relating to the phase of pre-construction for the proposed Fayette County Adult Detention Facility. It was set at a cost of $28,644. Per the request of Fayette County Sheriff Vernon Stanforth, it was moved to declare several items as surplus property that would allow these items to be disposed of or removed from inventory: three Nikon Coolpix Digital Cameras, an L3 Camera Monitor, a Federal Signal Interceptor 400 Siren Control, a Power Shot A810 Camera, an HP Photosmart R817, a Web Camera, an Enjoa Signature Pad and a Sony TCM. The Fayette County Sheriff’s Office was authorized to sell the following surplus inventory through GovDeals, Inc. due to damage, end of life or lack of usage: a 2010 Dodge Charger and a 2012 Dodge Charger. The Fayette County Sheriff’s Office was also authorized to sell surplus inventory that is owned by the county but damaged, at the end of life or no longer used. This surplus includes a 1999 Horton Ambulance and a 2006 Dodge Sprinter. Kurt Merritt, facilities manager, recommended to accept a proposal from Don Kelly. The proposal was to repair a point brick and stone at the entrance door off Fayette Street. It was moved to accept this proposal at the cost of $720. It was moved to waive the competitive bidding requirement and authorize an emergency repair of the freight elevator in the Fayette County Administration Building. A proposal from Gable Elevator, Inc. was accepted.